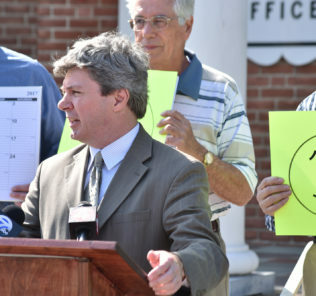 “Our goal is that the evaluated municipalities will interpret this report as constructive criticism,” said Paul Wolf of the Buffalo Niagara Coalition for Open Government. All these outcomes are admirable, attainable and inevitable if the elected leaders representing the people make good on a promise to continuously improve transparency in government, including how they present and update and populate their websites with information. 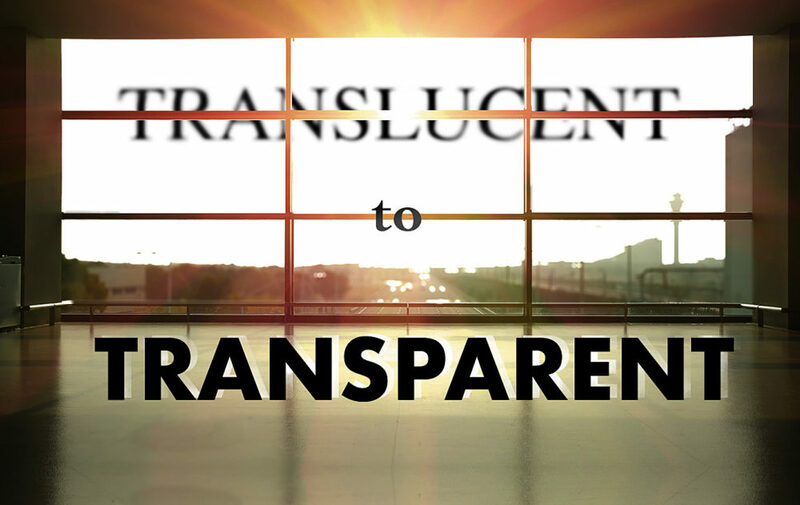 At a recent city council meeting in North Tonawanda, which received an ‘F’ in the Open Government report card on municipal websites, greater transparency was a sustained and sometimes heated subject throughout the meeting. Several residents expressed concerns about the city providing more information on agendas as well as including supporting documentation. Other key concerns included being more proactive about informing residents about ongoing city business as well as video and audio recording of council and other key meetings and then posting it to the city’s website. Of all the towns and cities in Niagara County, The Town of Wheatfield received the highest score, a C+. At the March 20 town board meeting, Wheatfield Recreation Director Mike Ranalli brought the Open Government report card to the attention of the gathered board members and residents. Citizens are provided an opportunity to speak prior to board members voting. Meetings are video recorded and posted online. Telephone numbers and email addresses are posted for all elected officials. Telephone numbers and email addresses posted for all department heads. Instructions and forms on how to file a FOIL request are on the home page. Financial disclosure forms for elected officials are posted. Citizens can sign up to receive email notification of meetings & public hearings. Five years of budgets are online. The posting of meeting agendas and entire board packets for 5 years. The posting of meeting minutes in a timely fashion for 5 years. Citizens should have access to the same documents that their elected officials are addressing in public meetings. A two-page agenda that simply states the topic of the items being addressed is insufficient. 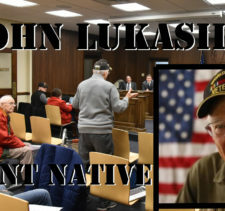 In 7 out of the 16 local governments evaluated the meeting agendas posted online do not contain copies of the documents that board members had for review (Wheatfield, Town of Lancaster, City of Lockport, Town of Lockport, Town of Hamburg, Town of Lewiston and the Village of Lewiston). The basic task of posting agendas and minutes has to be given greater priority in many local governments, as they are weeks or months behind in some communities. In 6 out of the 16 local governments evaluated, meeting minutes and agendas are not being posted timely. (City of Lockport, Town of Lockport, Town of Lewiston, W. Seneca, Town of Lancaster, Niagara Falls). The most recent meeting agenda posted online in the City of Lockport is November 2016! The Niagara County Legislature after becoming aware of this study began posting meeting minutes in January 2017. There are no meeting minutes whatsoever for the Niagara County Legislature prior to 2017! Citizens should be provided the opportunity to speak at the beginning of a local government meeting to state their opinion and concerns before elected officials vote. 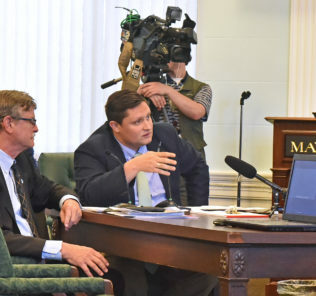 While citizens are provided the opportunity to speak at committee meetings of the Erie County Legislature and the Buffalo Common Council, they are not given the opportunity to speak at full meetings of the Erie County Legislature, Buffalo Common Council or the Niagara County Legislature. Speaking before committee meetings only does not give citizens the opportunity to address all elected members. In the Town of Tonawanda and the Town of Hamburg, citizens are not allowed to speak until the end of the meeting, after Board Members have voted. In only 3 out of 16 local governments evaluated can citizens watch video-taped recordings online of local government meetings (Buffalo, Amherst & Wheatfield). While there is a cost to purchasing and operating the recording equipment, the cost is minimal. For example, it cost the town of Amherst approximately $22,000 for their video equipment. When the town of Wheatfield decided to install several security cameras they were able to add recording equipment for just a few thousand dollars. Being able to directly contact elected officials by telephone and email is important. In 13 out of the 16 local governments evaluated, contact information was missing for some government officials. The three communities that have done an excellent job in providing complete contact information are: the towns of Lancaster, West Seneca and Tonawanda. 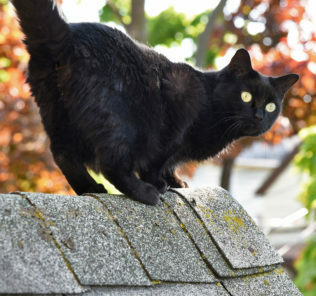 Of the 16 local governments evaluated only the Town of Amherst has a link to FOIL information in a visible spot on their home page. Freedom of Information Law (FOIL) instructions and forms should be posted in a visible location on the home page of a local government’s website. At the State level the financial disclosure forms completed by statewide elected officials, State Senators and Assembly Members are posted online for the public to see in their entirety. The posting of financial disclosure forms allows the public and the news media to monitor for themselves ethical issues such as conflicts of interests. Not a single local government posts online the financial disclosure forms of their elected officials. 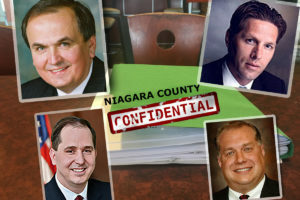 Niagara County has gone so far as to pass a local law that prohibits citizens from being able to view county legislator disclosure forms! To engage citizens and encourage public participation in governmental decisions, a proactive approach must be taken. Only two local governments allow citizens the opportunity to sign up and receive email notification of board meetings and public hearings through a Notify Me link on their website (Wheatfield & Town of Tonawanda). Every local government evaluated has posted budget information. In order for citizens to be able to see a historical view of expenditures and revenues, five years of budget information should be provided. The Town of Tonawanda, Town of Lockport, Village of Lewiston and Niagara Falls, have less than five years of budget information posted. The Town of Amherst received the highest score of 77 out of 100 points followed by the Town of Wheatfield with a score of 75.5 points. Amherst and Wheatfield deserve to be recognized for their scores, but it is unfortunate that a C+ grade is the highest score among the 16 local government websites evaluated. Each website was rated independently by three volunteers. The three different scores were averaged into a final grade. The items graded and the criteria used are attached to this report. Websites were evaluated during the period from December 2016 through February 2017. Letter grades are based on the following scale: A, 90-100 points; B+, 85-90; B, 80-84; C+, 75-79; C, 70-74; D, 65-69; F, 64 and below. Amherst (77% C+) Meeting agendas with all documents and minutes are posted in a timely fashion for 5 years. Citizens are provided the opportunity to be heard in the beginning of their meeting. Amherst is one of only three municipalities that records and posts their meetings online. Telephone numbers and email addresses for elected officials are posted. Most department head emails and phone numbers are posted but some are missing. FOIL form and instructions are posted. Elected official financial disclosure forms are not posted. Citizens cannot sign up through a Notify Me link to receive emails regarding meetings and public hearings. Budget documents are posted for five years. Wheatfield (75.5%, C+) Meeting agendas are posted but not with entire board packets for five years. Meeting minutes are posted. Opportunity for citizens to speak early in meeting is provided. Wheatfield to their credit videotapes and posts their meetings for the public to view. Not all elected official email and phone numbers are posted. Not all emails and phone numbers for department heads are posted. FOIL information is posted but not on home page in an easy to see spot. Elected official financial disclosure forms are not posted. Citizens can receive emails regarding meetings and public hearings through a Notify Me link but it is difficult to find. Five years of budget reports are posted. Meeting agendas and board packets are posted but not for five years. Meeting minutes are posted but not for five years. Citizens are not allowed to speak at full Council meetings. Buffalo to their credit is one of the few municipalities that records and posts video of their meetings. Telephone numbers and email addresses are posted for all elected officials. Telephone numbers and emails are not posted for all department heads. FOIL information and instructions are not posted in a visible place on the home page. Elected official financial disclosure forms are not posted online. A Notify Me link for citizens to receive email notification of meetings and public hearings is not located in a visible place. Five years of budgets are posted. Erie County (62, F) Meeting agendas and minutes are posted for at least five years. Citizens are not allowed to speak at full legislature meetings. Meetings are not videotaped and posted online. Telephone numbers and email addresses for all elected officials are posted. Telephone numbers and email addresses are posted for most but not all department heads. FOIL forms and instructions are posted but not in the most visible location. Elected official financial disclosure forms are not posted online. A Notify Me link for citizens to receive email notification of meetings and public hearings is not located in a visible place. Five years of budgets are posted. Town of Tonawanda (60, F) Meeting agendas and minutes are posted. Citizens can only speak at the end of the meeting after the board has acted. Meetings are not video recorded, audio recordings are posted. Contact information is posted for all elected officials and department heads. FOIL instructions and form are not posted in a visible place on home page. Elected official financial disclosure forms are not posted online. A Notify Me link for citizens to receive email notification of meetings and public hearings is provided. Four years of budgets are posted. North Tonawanda (59, F) Meeting agendas and minutes are posted. Citizens can speak at meetings before the board has acted. Meetings are not video recorded, and posted. Contact information is not posted for all elected officials and department heads. Only Mayor’s email provided for elected officials. FOIL instructions and form are not posted in a visible place on home page. Elected official financial disclosure forms are not posted online. A Notify Me link for citizens to receive email notification of meetings and public hearings is not provided. Five years of budgets are posted. West Seneca (57, F) Meeting agendas and minutes are posted, however minutes from last meeting not posted before next meeting. Citizens allowed to speak at end of meeting only and not before the board has acted. Meetings are not video recorded, and posted. Contact information is posted for all elected officials and department heads. FOIL instructions and form are not posted in a visible place on home page. Elected official financial disclosure forms are not posted online. A Notify Me link for citizens to receive email notification of meetings and public hearings is not provided. Five years of budgets are posted. Cheektowaga (56, F) Meeting agendas and minutes are posted. Citizens allowed to speak at meeting before the board has acted. Meetings are not video recorded, and posted. Contact information is posted for all elected officials and department heads, however a contact us page is used instead of being able to send a direct email. FOIL instructions and form are not posted in a visible place on home page. FOIL information is at the bottom of the home page, instructions on where to send FOIL is not provided. Elected official financial disclosure forms are not posted online. A Notify Me link for citizens to receive email notification of meetings and public hearings is not provided. Five years of budgets are posted. Town of Lancaster (53, F) Meeting agendas and minutes are posted, however agendas posted only for 2016 and 2017. Documents are not attached to the Agenda so citizens can see the same information that board members have. Minutes from last meeting not posted before next meeting. Citizens allowed to speak at beginning and end of meeting for five minutes. Meetings are not video recorded, and posted. Contact information is posted for all elected officials and department heads. Email information for board members is not provided on the board member page of the site. FOIL instructions and form are not posted in a visible place on home page. Elected official financial disclosure forms are not posted online. A Notify Me link for citizens to receive email notification of meetings and public hearings is not provided. Five years of budgets are posted. 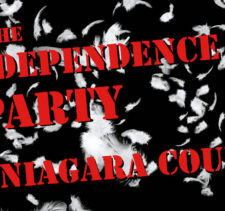 Niagara County (51, F) Meeting agendas and minutes are posted. Meeting minutes were not posted until January of 2017, no minutes prior to 2017 are posted. Agenda does not indicate that Citizens are allowed to speak at the meeting. Meetings are not video recorded, and posted. Contact information is posted for all elected officials and most department heads. An email address for every department head is not posted. FOIL instructions and form are not posted in a visible place on home page. Elected official financial disclosure forms are not posted online. A Notify Me link for citizens to receive email notification of meetings and public hearings is not provided. Five years of budgets are posted. Niagara Falls (51, F) Meeting agendas and minutes are posted, however minutes from last meeting not posted before next meeting. Appears that Citizens allowed to speak at end of meeting only and not before the board has acted. Meetings are not video recorded, and posted. Contact information is posted for all elected officials and department heads. FOIL instructions and form are not posted in a visible place on home page. Elected official financial disclosure forms are not posted online. A Notify Me link for citizens to receive email notification of meetings and public hearings is not provided. Less than five years of budgets are posted. City of Lockport (50, F) The posting of meeting agendas has not been updated since November 2016! Documents are not attached to the Agenda so citizens can see the same information that board members have. Meeting minutes are posted. Citizens allowed to speak at beginning of the meeting before the board has acted. Meetings are not video recorded, and posted. Contact information is posted for most elected officials and department heads. FOIL instructions and form are not posted in a visible place on home page. Elected official financial disclosure forms are not posted online. A Notify Me link for citizens to receive email notification of meetings and public hearings is not provided. Five years of budgets are posted. Town of Hamburg (48.5, F) Meeting agendas and minutes are posted, however, documents are not attached to the Agenda so citizens can see the same information that board members have. Appears that Citizens allowed to speak at end of meeting only and not before the board has acted. Meetings are not video recorded, and posted. Contact information is posted for all elected officials and department heads, however for department heads only phone numbers are provided and not email addresses. FOIL instructions and form are not posted in a visible place on home page. Elected official financial disclosure forms are not posted online. A Notify Me link for citizens to receive email notification of meetings and public hearings is not provided. Five years of budgets are posted. Town of Lewiston (48.5, F) Meeting agendas are posted, however, documents are not attached to the Agenda so citizens can see the same information that board members have. Meeting minutes are not being posted timely and are two months behind. Citizens are allowed to speak at the beginning of the meeting before the board has acted. Meetings are not video recorded, and posted. Contact information is posted for most elected officials and department heads. FOIL instructions and form are not posted in a visible place on home page. Elected official financial disclosure forms are not posted online. A Notify Me link for citizens to receive email notification of meetings and public hearings is not provided. Five years of budgets are posted. Town of Lockport (34.5, F) Meeting agendas are posted, however, documents are not attached to the Agenda so citizens can see the same information that board members have. Meeting minutes are not being posted timely and are a month behind. Appears that Citizens allowed to speak at beginning of meeting before the board has acted. Meetings are not video recorded, and posted. Contact information is not posted for all elected officials and department heads. FOIL instructions and form are not posted in a visible place on home page. Elected official financial disclosure forms are not posted online. A Notify Me link for citizens to receive email notification of meetings and public hearings is not provided. Five years of budgets are not posted. Village of Lewiston (29, F) Less than five years of meeting agendas and minutes are posted. Documents are not attached to the Agenda so citizens can see the same information that board members have. Appears that Citizens allowed to speak at beginning of meeting before the board has acted. Meetings are not video recorded, and posted. Contact information is not posted for all elected officials and department heads. FOIL instructions and form are not posted in a visible place on home page. Elected official financial disclosure forms are not posted online. A Notify Me link for citizens to receive email notification of meetings and public hearings is not provided. Less than five years of budgets are posted. This is not a scientific study with precise results. The website evaluations were completed by concerned citizens who volunteered their time. An evaluator may have found and awarded points for an item that another volunteer rater may have missed. Our goal is that the evaluated municipalities will interpret this report as constructive criticism. We are interested in assisting local governments to improve their websites so that citizens can have access to important information in a timely way. A failure rate of 90% (14 out of 16 local governments) in providing basic information to the public is unacceptable. There is no reason why meeting agendas and minutes cannot be posted online in a timely manner. Several municipalities are posting agendas without attaching copies of all of the documents that elected legislators and board members have before them. The public should be able to access the documents that their elected officials are discussing and voting on. Scanning and posting meeting agenda documents is not a difficult task. Most municipalities are posting meeting minutes, however, some are behind in doing so. Knowing what took place at the last meeting before the next meeting occurs is important for citizens to be fully informed. 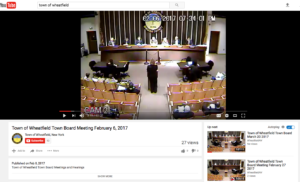 Videotaping local government meetings is an important step in allowing individuals to see from the convenience of their home at any time what their located elected officials are doing. Implementing the recording and posting of meetings is not financially out of reach for most local governments. If the municipality the size of Wheatfield (population 18,000), can find a way to undertake video recording of meetings than others can as well. The financial disclosure forms completed by all state elected officials are posted on-line for the public to see. Financial disclosure forms for local elected officials should also be posted on-line. Not a single local government posts elected official financial disclosure forms on-line. Placing a Notify Me link on a website home page is an easy proactive step to take, so that citizens have the opportunity to receive email notification of meetings. The small community of Wheatfield has a Notify Me link on their website and other local governments can and should do the same. Members of the Buffalo Niagara Coalition for Open Government welcome the opportunity to speak about this report at an upcoming meeting of any of the local governments that were studied. We are willing to work with and to assist local governments interested in improving their websites. One step that local governments can take is to form an Open Government Advisory Board, which the Village of Williamsville and the Town of Amherst have done. Having a citizen board dedicated to addressing open government issues and concerns can set your local government apart from many others by showing a commitment to working towards government that is transparent, participatory and collaborative with the public.